The following is an extract from ‘Three books of Colloquies concerning the Art of Shooting in Great and Small pieces of Artillery’, which was written in Italian, by Nicholas Tartaglia, and has been translated into English by Cyprian Lucar. It concerns the Properties, Office and Duty of a Gunner. A Gunner ought to be sober, wakeful, lusty, hardy, patient, and a quick-spirited man; he ought also to have a good eyesight, a good judgement, and perfect knowledge to select a convenient place in the day of service, to plant his ordinance where he may do most hurt unto the enemies, and be least annoyed by them. Also a Gunner in time of service ought to forbid with meek and courteous speeches all manner of persons other than his appointed assistants to come near his pieces, to the end that none of his pieces may choked, poisoned, or hurt; and he ought not for any prayers or reward to lend any piece of his gunmatch to another person, because it may he very hurtful to him in time of service to, lack the same. Also every Gunner ought to know that it is a wholesome thing for him to eat and drink a little meat before he doth discharge any piece of artillery, because the fume of saltpetre and brimstone will otherwise be hurtful to his brains, so it is very unwholesome to him to shoot in any piece of ordinance while his stomach is full. Every Gunner which shall serve upon the sea in any ship ought before his going to sea to write with good advisement in a paper book for the owner or captain of the vessel in which he shall serve the weight and price of so much gunpowder, and of so many fit pellets, as will be enough to charge all the pieces in his vessel forty times over, and also the price of ten barrels of more gunpowder, which he ought to have for the only making of fireworks. Right Gunners - Make it so! Perhaps after 16 years of maintaining this site on the Net it is time I fully explained to the nautically challenged what a ‘Gun Plot’ is, which in turn, will explain why this site is called The Gun Plot. Actually the term ‘Gun Plot’ and Gun Plot Officer is an American (USN) term, and it is the compartment in a ship from where the Main Armament (Large Calibre Guns) are controlled and fired. In the British, Royal Navy, the same compartment is called the ‘Transmitting Station’ and instead of having a Gun Plot Officer in charge of the Quarters, he was called the TSO, or later in the mid 70’s, this was changed to FCO, or Fire Control Officer. Following 8 Years service in British Destroyers I was later to spend a further 5 years in a US Destroyer as a Gun Plot Officer (GPO), the similarities of the two Gun Systems made the transition quite easy. Fire Control, is a common term used in all forms of Gunnery, including infantry (not to be confused with the term Fire Discipline), Fire Control means exactly what is says. it is a universal Naval Gunnery Term. It means, basically, Controlling the Systems and the Personnel involved in the Firing of the Guns, Missiles etc. The Gunnery Branch in the RAN was divided into 3 Sub Categories - Fire Control - Quartermaster Gunner & Weapons Mechanic. 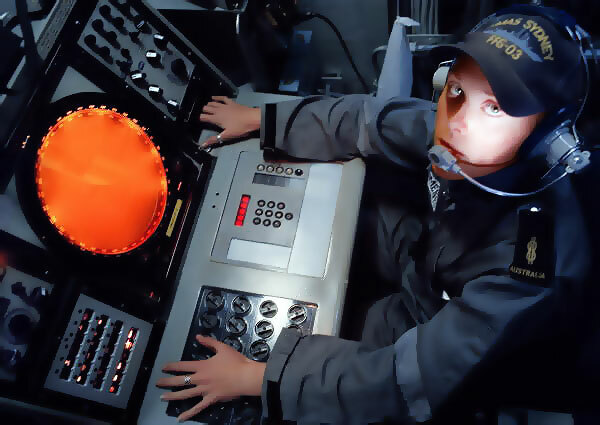 My specialisation in the navy was FC, or Fire Control. In the USN they are called FT or Fire Control Technician. The difference between the RAN/RN and The USN was that members of the Gunnery Branch in the RN/RAN were Seamen and belonged to the Executive Department of the Ship under the Executive Officer. We were Operators - Not Electrical Maintainers. We just used the gear - and broke it and the Sailors of the 9Weapons) Electrical Department, who were not Seamen Category Sailors but Electircal mechanics fixed it. FTs in the USN were Operators and Maintainers. (The Gunnery Branch in the RAN was made redundant in the early 1990s and does not exist anymore). 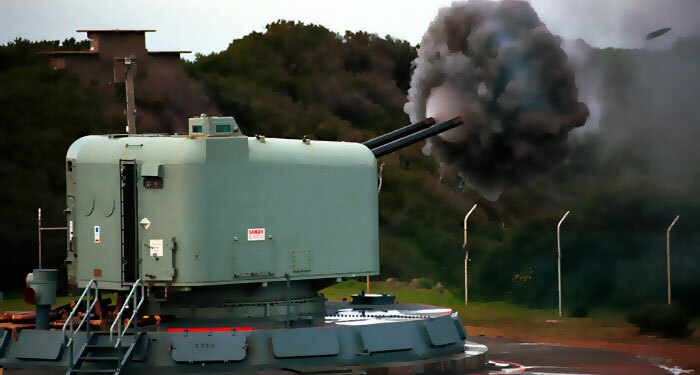 Naval Gunnery is somewhat unique as opposed to the more conventional land based, fixed artillery. The Fire control problems are a lot more complex given that a ship is not exactly a fixed, stable platform. This is why Fire Control Compartments were usually located as low down and as close to the centreline in the ship as possible, to gain every advantage possible to solve the ‘Fire Control Problem’. Located in these compartments were the Gunnery Radar Consoles, Computers and gyro stabilisation units. In bygone days, using analogue and mechanical technology, the operation of this equipment could be quite ‘man-power intensive'. Many could be forgiven for believing that this Station was the domain of the Ship’s Gunnery Officer, or at least some other form of Commissioned Officer, but this was not the case. The Officer of the Quarters in a Gun Plot or TS was a Chief Petty Officer. The Gunnery Officer is usually positioned on the (Visual) Gun Direction Platform on the Upper Deck, or, in the Operations Room, depending on the type of attack the ship is under or what role the ship is performing – Such as Naval Gun Fire Support to land forces ashore. Navy Video - On The Gun Line - DDG HMAS PERTH's GFCS Mk 68 (Gun Fire Control System) in action in Vietnam. 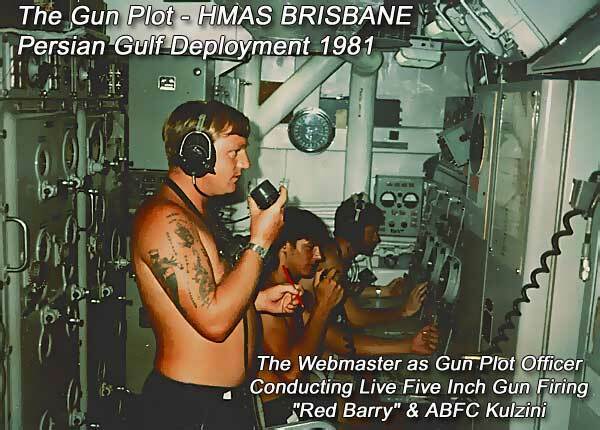 Here you will see what goes on in a Gun Plot during Naval Gun Fire Support Operations. The first Gun System I was to operate in the RAN, as a 16 Year Old Ordinary Seaman Fire Control Sailor at sea, was British designed and built. It controlled the ship’s Main Armament, the 4.5” Guns, and it was called MRS 3 - Medium Range System 3, which was developed by the experts in Naval Gunnery, the British, shortly after WW2. It consisted of the 903 Gunnery Fire Control Radar Console and the Admiralty Fire Control Box 10 (AFCB 10) or ‘The Clock’, plus other assorted bits and pieces. The main computer which ‘solved’ the ‘AA (anti aircraft) Problem’ was called ‘The Predictor’ and it resided in what was called the TS Annex because it was the size of a block of flats! The same, and better, computer today would fit in your shirt pocket! Or maybe even in a wristwatch! The ranges of this Gun and System were, in Anti Aircraft mode, 7000 Yards RANGE FURTURE! In Anti Surface (ship) mode it was 18,000 Yards. So, without going into too much detail, which really requires a dedicated lengthy course, you can think about this. Our ship is travelling 22 knots in a fairly heavy sea. Manoeuvring wildly whilst under attack from ground attack jet fighters moving at speeds of 500 knots or so. We have a Gun which fires a shell 4.5” in diameter weighing 57 pounds, filled with RDX/TNT High Explosive, not quite as large as one of those large jeroboam bottles of champagne. We are going to fire that shell, over a range of 3 Nautical Miles, into the sky and hope that both the enemy aircraft and the shell reach the same point in the sky at the same time. Now you know why the very large AA Computer in the Annex was called ‘The Predictor. Range future is the predicted range of the target aircraft by the time the shell meets it, hits it and destroys it. So there are actually two ranges. Range Present (RP) – Where the aircraft is now. And Range Future (RF), where it will be, we hope! Naval Gunnery is a serious business and we practiced constantly when we were at sea. Remember, the reason why we have warships is none other than to provide sea artillery. Today things have changed. As all technology has. The Gun Fire Control ‘Problems’ are the same today as they were 100 years ago at the Battle Of Jutland, but the equipment used to provide the ‘Solutions’ has improved out of sight. No longer do we have the manpower intensive Gun Plots or Transmitting Stations. 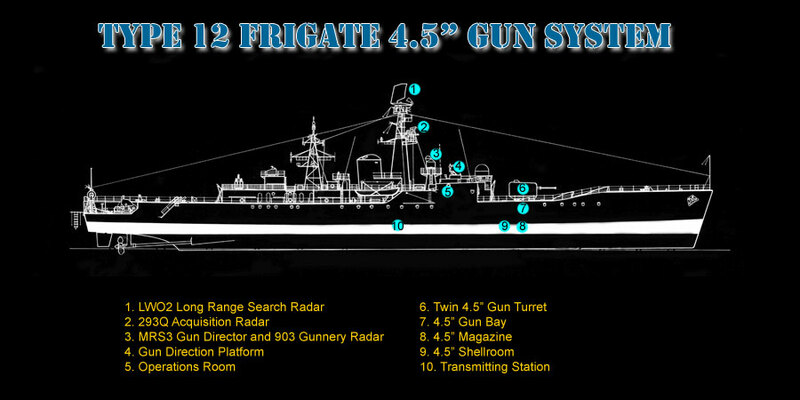 Hi-Tech digital Naval Combat Data Systems have replaced them, the same as when Breech Loading Guns replaced muzzle loaders.